Congratulations TSO for the 2018/2019 lineup! The TSO’s 97th season is now launched, and subscriptions are being renewed as we speak! 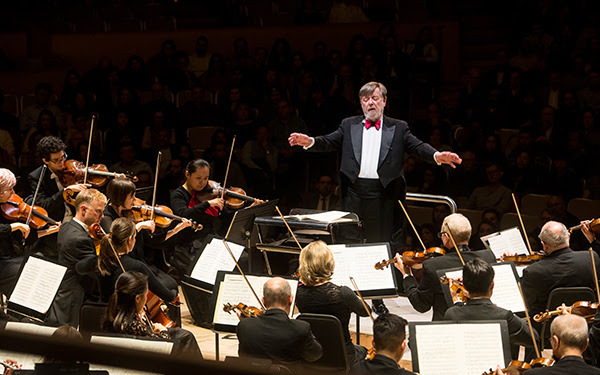 Former TSO Music Director Sir Andrew Davis returns as interim Artistic Director as he has before when the TSO searched for a new Music Director that lead the Orchestra to Peter Oundjian. Artists with Candian roots or connections: conductors Johannes Debus, Bramwell Tovey, Tania Miller, Earl Lee, Gemma New, Alexander Shelley, and Mélanie Léonard; singers Russell Braun, Marie-Nicole Lemieux, Claire de Sévigné, and Andrew Haji; pianists Louis Lortie, Jan Lisiecki, and Stewart Goodyear; and violinists James Ehnes and Leila Josefowicz. The TSO will be reviving Variations concertantes by Jacques Hétu—a work commissioned and premièred by the TSO in 2006. Other Canadian composers include José Evangelista, Nikolai Korndorf, Oskar Morawetz, Dorothy Chang, Dinuk Wijeratjne, Abigail Richardson-Schulte, Chan Ka Nin, Jocelyn Morlock, Stewart Goodyear, and Jordan Pal. In November 2018, the poignant Britten War Requiem coincides with the centenary of Armistice Day. Bramwell Tovey conducts the TSO, soprano Tatiana Pavlovskaya, tenor Toby Spence, baritone Russell Braun, the Toronto Mendelssohn Choir, and the Toronto Children’s Chorus. In January 2019, Mozart with Zukerman celebrates the genius of the immortal composer. Pinchas Zukerman, who last appeared with the TSO in September 2016, brings his virtuosity, both as a violinist and a conductor. Also in January 2019, Sir Andrew Davis Conducts Wagnerfeatures Act I of Die Walküre in concert. Soprano Lise Davidsen, tenor Simon O’Neill, and bass Brindley Sherratt join the TSO. In February 2019, Canada’s own Barbara Hannigan returns to the TSO to sing and conduct a program that includes Berg, Sibelius, Debussy, Haydn, and Gershwin. The Grammy Award–winning artist made her North American conducting début with the TSO in October 2015. In March 2019, former Music Director Günther Herbig returns to the TSO podium for the first time since February 2012, for Schubert & Bruckner. In May 2019, Denk Plays Mozart features one of America’s foremost pianists. Jeremy Denk leads the Orchestra from the keyboard. Here’s to a great season next year, TSO!